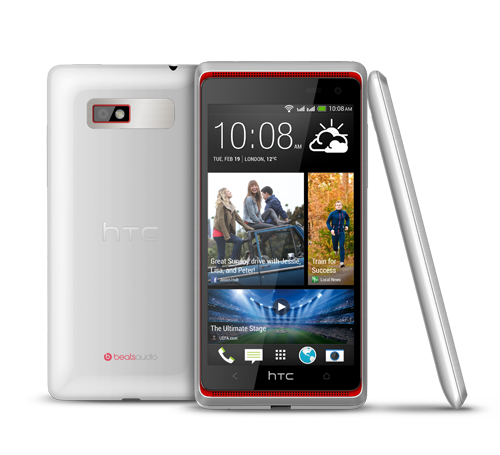 The HTC Desire C is a nicely designed budget Android 4.0 handset. It could make a good first smartphone but doesn't have any outstanding features. The price is attractive but if you're not bothered about NFC then it's worth paying an extra £20 for the HTC One V for its superior screen and better performance. 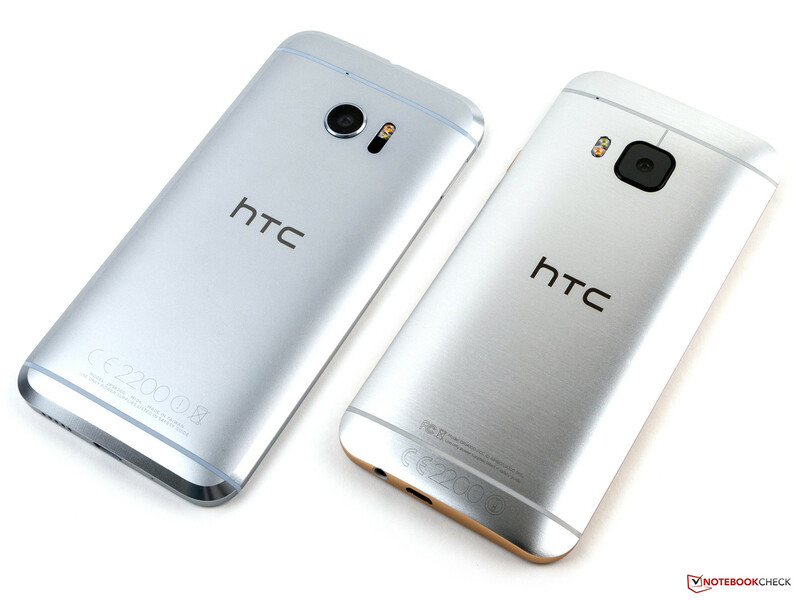 It doesn’t seem like HTC has learnt from their past mistakes with the Desire SV. The Desire 600 is priced at an absurd Rs 26,990 which pits it against the Samsung Galaxy S4 mini, Sony Xperia ZR and the LG Nexus 4 – all of which make a better buy. The Desire series has lost its charm from the glory days of the original, followed by the Desire S. The phone is very similar in specifications to the Galaxy Grand Quattro and we feel, should have been priced in the sub-Rs 20,000 price bracket. 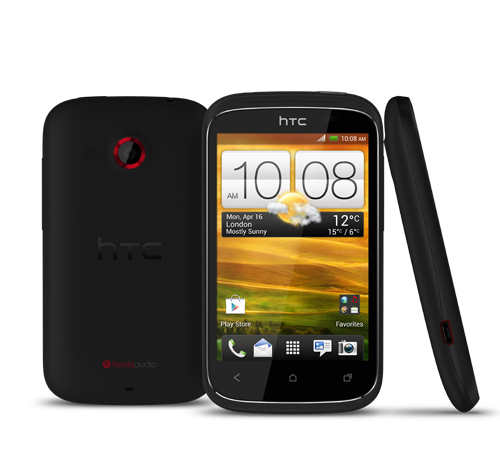 The Desire 600 is a good upgrade to the Desire SV, no doubt, but they seem to have gotten the pricing all wrong. 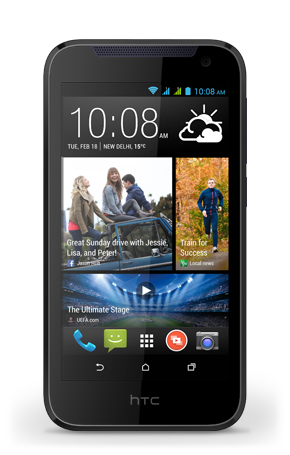 The Desire 600 is a solidly built handset with pleasant design. With a 4.5” screen, the phone fits perfectly in the palm of your hand. The music output is impressive as well. On the flipside, it feels slightly underpowered compared to the similarly priced GALAXY S III and Nexus 4. The camera is a let-down too. For Rs 25,500, it's definitely over-priced for what it offers. However, if HTC decides to bring its pricing down to around 20k, it will be a very good option for those looking for a premium dual-SIM handset. Быстро, качественно, недорого. Раньше при выборе смартфона приходилось довольствоваться лишь двумя пунктами из описанных выше. Но дела меняются к лучшему! Качественный 4.3-дюймовый экран, четырёхъядерный процессор, низкая цена... Всё это и многое другое - в герое нашего сегодняшего обзора, HTC Desire 500. Смартфон, доступный каждому. 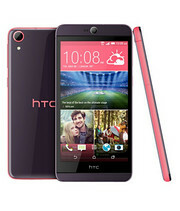 HTC Desire 310 продается по низкой цене и предлагает типичные для своего ценового диапазона характеристики. Удастся ли ему выделиться среди множества очень похожих конкурентов? 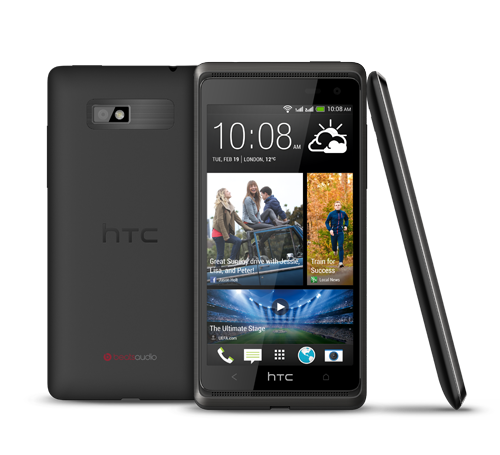 The HTC Desire 310 is a bit of a missed opportunity. Instead of establishing HTC’s position among the more exciting budget phone makers – just as some budget phones are kicking things up a notch – the phone only makes half of the improvements we’re looking for. 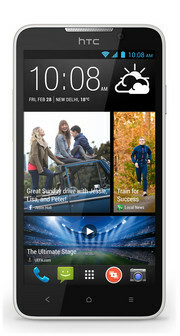 The HTC Desire 310 has good software and offers decent performance at the price. 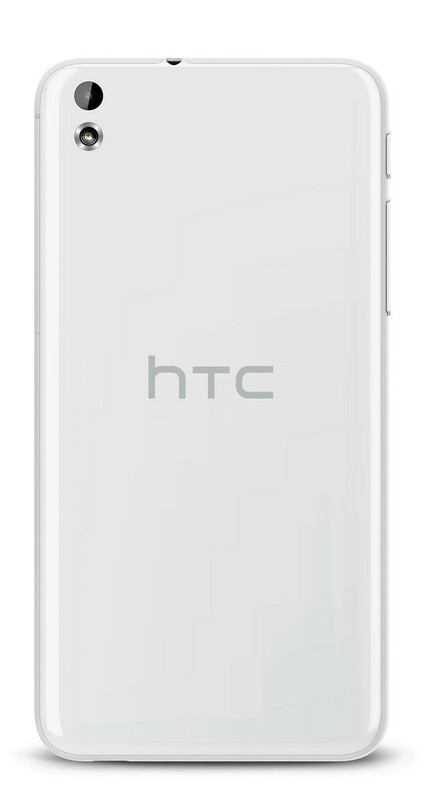 However, the camera and screen are weak points, and as they’re both pretty important, this is not going to be remembered as an HTC classic. While we tend to focus on high-end premium smartphones most of the time, it is the mid or low-end phones that sell most as they are catered to entry-level users with lower prices. These smartphones may not be top-of-the-line, but generally offers all the basic stuff you would normally need from a smartphone. 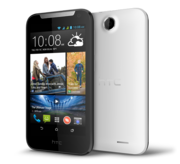 The HTC Desire 310 is one such product that tries to offers a similar experience that you would normally get from the company’s higher-end lineup but at a lesser price. The Desirer 310 looks better than most Android handsets available in its price range. In spite of packing in only 512 MB of RAM, its performance is decent. However, it disappoints in the display department. Plus, the camera is one of the worst in its category. The competition is steep, not just domestic, but even International brands including Nokia offer much better hardware at a similar price. So if you’re looking for a neat smartphone experience for around Rs 11,500, go for the Lumia 630, which offers better screen, camera, and performance. Those not willing to leave the Android camp, should stretch the budget up to 14k and get the Moto G.
50% HTC Desire 310 review: Buy a Moto G instead! 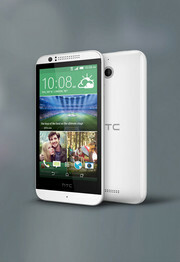 With a street price of roughly Rs 11,500, the HTC Desire 310 dual sim is too expensive for what’s on offer. In fact, we wouldn’t even recommend it if dropped to half its price. It’s quite simply a disaster of a product which is too bad when you consider the Desire 210 and Desire 816, which actually have good potential. The Motorola Moto G continues to be the best Android under Rs 15,000. If you don’t mind the rival camp, then we also recommend the Nokia Lumia 525 instead of the 310. 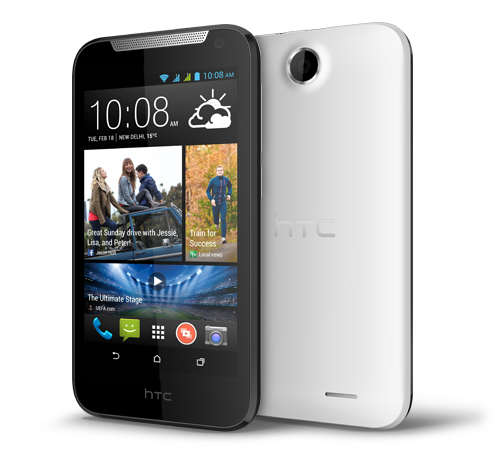 The HTC Desire 310 has very few positives going for it. You could use it as a phone with basic media playback features, but not much more than that. Moreover, HTC is not doing itself any favours by pricing the phone at Rs. 11,358 which is very close to the Moto G - by far a superior performer. 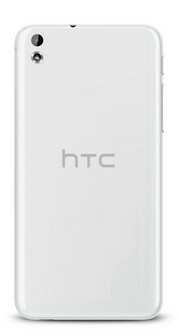 HTC needs to do a lot better than this to do well in today's mid-budget market. Средний класс. 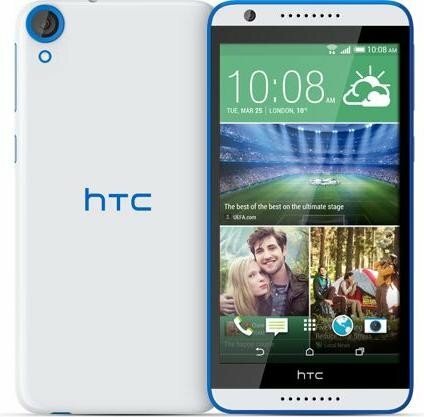 Desire 610 стоит около 11 тысяч рублей, а HTC One M7 с превосходящими характеристиками - лишь на пару тысяч дороже. Либо ценовая политика компании HTC окончательно перешла грань безумия, либо 610-я модель окажется значительно интереснее, чем нам показалось. There was a time, back in Android’s early days, when any $350 phone that worked reasonably well would have been a triumph. But those days are long gone, and if you’re looking to save money on an AT&T-supported phone, you have several better options than the HTC Desire 610. With the Desire 610, it’s as if HTC worked in a vacuum, certain that it needed to make mid-range phones but blissfully unaware of the competition. It’s the only way to explain how a phone with so little value made it to market. 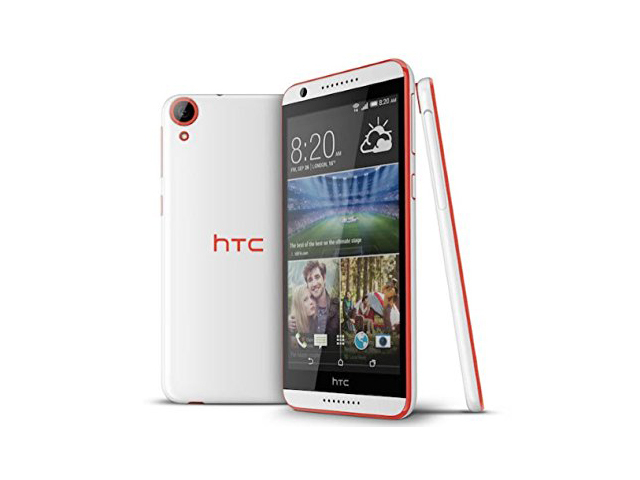 The HTC Desire 610 is one of the most affordable, modern Android smartphones on AT&T at the moment. It offers good performance for the price and has some useful features that aren't a given in the budget realm, like nice front-facing speakers and up-to-date Android software. That said, there are some shortcomings here worth mentioning, most notably a painfully low-quality display. Right now you can get the Amazon Fire Phone for the same 99 cents—it's not perfect by any means, and not really a true Android phone, but it's supremely well built and a significantly nicer device than the Desire 610. And if you're not tied to any ecosystem, AT&T is also offering the Apple iPhone 5c for free on contract, which delivers a far more polished software experience with appreciably better hardware. 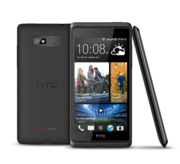 Overall, the HTC Desire 610 will appeal to anyone looking for a reasonably priced all-rounder to use for browsing the web, taking good photos, emailing, texting, making phone calls, playing casual games and running Android apps. 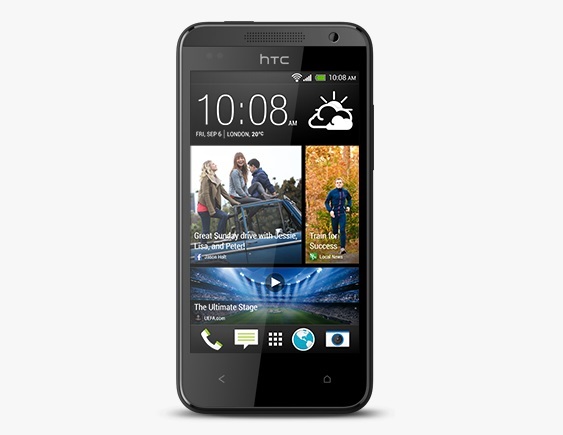 The HTC Sense software is sleek and easy to use and you'll be satisfied with the battery life. We really enjoyed our time with the HTC Desire 610 and don't have any real qualms aside from the large bezels and slightly disappointing display. Ultimately, though, a decent battery life isn't enough to save this otherwise very average handset. The HTC Desire 610 may have excellent performance for its price, but its mediocre screen and camera are severely outclassed by the competition. If you're looking for an excellent mid-range handset and don't mind spending a little more money, the Motorola Moto X is well worth the extra expense. The HTC Desire 600 is something that should have been a proper all round phone that takes all in the fast paced competition in the mid range tier. The design has flaws, the sound isn’t great and the screen isn’t exactly the best. It’s the kind of device that tries when it shouldn’t since it’s taking aspects from one of the best android phones I’ve seen this year. 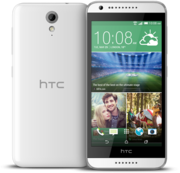 Competition is fierce in this part of the smartphone market and there are better options at even lower prices than the HTC Desire 610. While it does deliver in its range of features, the Moto G betters it in almost every way with a superior screen, better battery life and equally successful software. 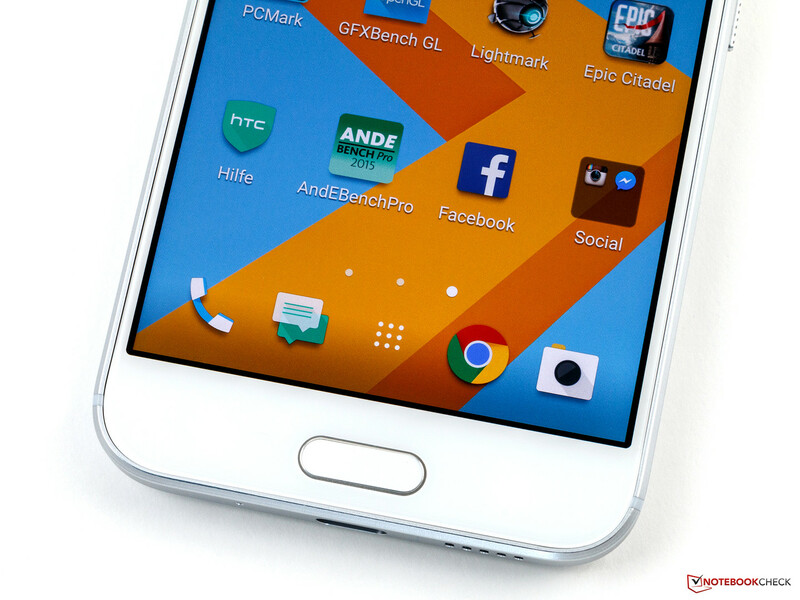 The LG G2 Mini also offers a better overall compromise at a similar price. The Desire 610 has some of the best build quality and arguably the best software available at this price as well as a smooth and fluid interface, but that isn't enough in the end to make it a truly compelling device. 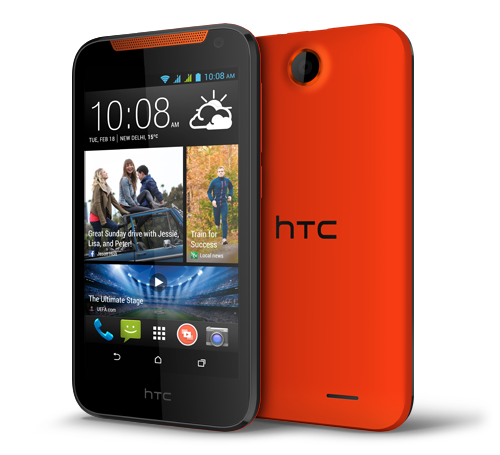 All things considered, the Desire 610 is a nice budget entry from HTC. It isn’t the biggest, baddest smartphone on the market, and it’s not even the best value around; both the Moto G and Moto E are seriously tough competitors when it comes to what you get for your money. The biggest drawbacks of the 610 will be the display and camera experience, both of which are particularly bad. Oh, and it’s a pretty serious fingerprint magnet. But performance, storage options, and even the build of the phone are straight down the middle of the road, which is perfectly in line with the price point of this handset. 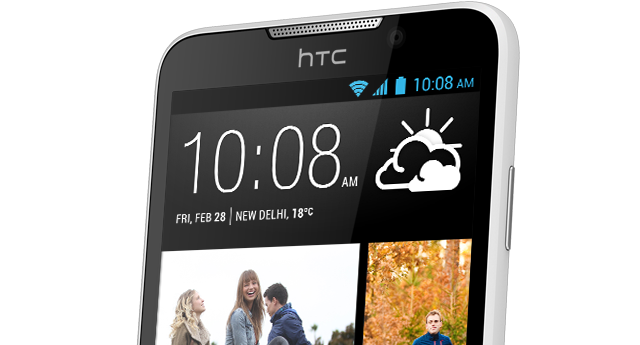 The HTC Desire 610 is a solid all-round effort. It's well put together, has a big screen, and is fast enough for basic tasks. There are much cheaper alternatives, though, like the Motorola Moto E and Nokia Lumia 630, so you really have to weigh up how much you need extras like a big screen, LTE and 4G. 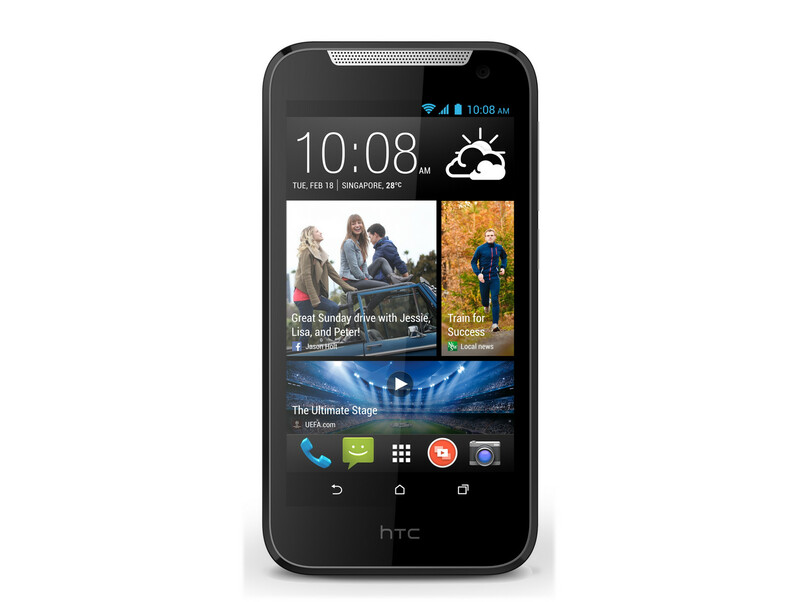 The Desire 610 is a solid all-rounder. The screen isn't as sharp as we’d like, but the camera is decent and the design is quirky and charming, though perhaps a tad larger than we'd like for a 4.7-inch phone. Its main problem, however, is it's a little pricey considering the wealth of excellent (and often cheaper) alternatives. 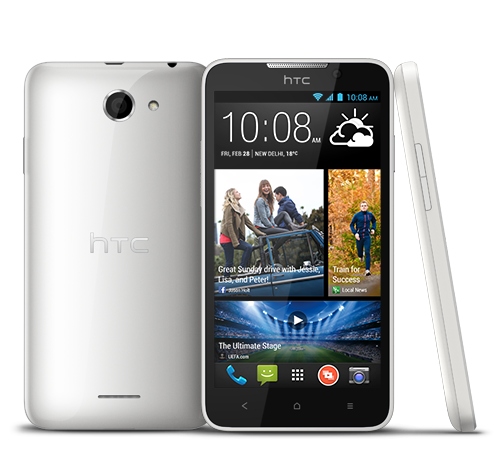 The HTC Desire 610 is a good phone, but it has to compete with some exceptionally good value phones. At current prices there are better options, but it's worth considering if you can find a good deal. Грозный соперник. 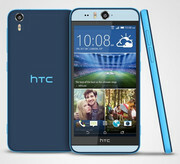 HTC Desire 816 - это большой и мощный смартфон среднего класса, предлагающий возможности, которых не постыдятся многие флагманы. Но стоит ли он своих денег? If you can live with the camera and a few other shortcomings, the Desire 816 fares well as a budget phone for game and media junkies. For $300, it can stand in for both a smartphone and a tablet, and the service comes cheap on Virgin Mobile, whose $35 plan gets you 300 minutes, unlimited text and 2.5 GB of high-speed data. (An alternative plan for the same price includes unlimited minutes and 250 MB of data.) It could be the only device you need, even though it’s far from being the best one you can get. 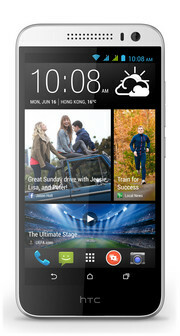 On Virgin Mobile, the HTC Desire 816 is the best big phone for small budgets. Voracious media consumers will appreciate the expansive display and loud speakers, while performance is in line with the price. And $300 for this much phone is a fantastic deal. If you're looking for something smaller, the Virgin Mobile Supreme has a more manageable 5-inch display and still represents good value at $300, while the even smaller HTC Desire features the same front-facing speaker setup as its larger sibling. 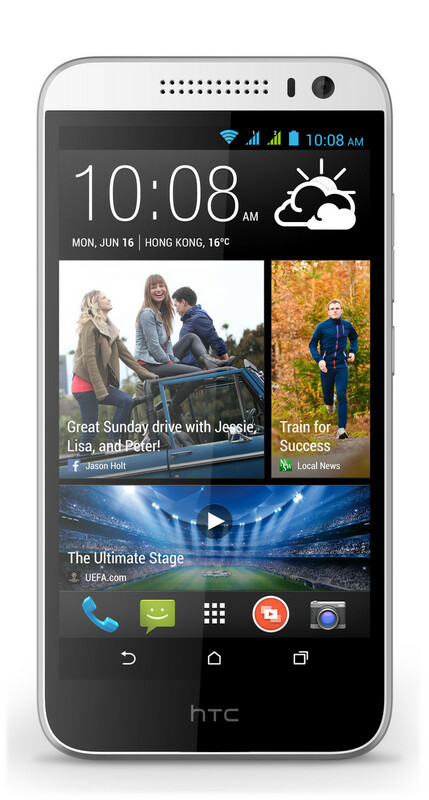 For phablet fans on Virgin Mobile, though, the Desire 816 is a top pick and earns our Editors' Choice award. 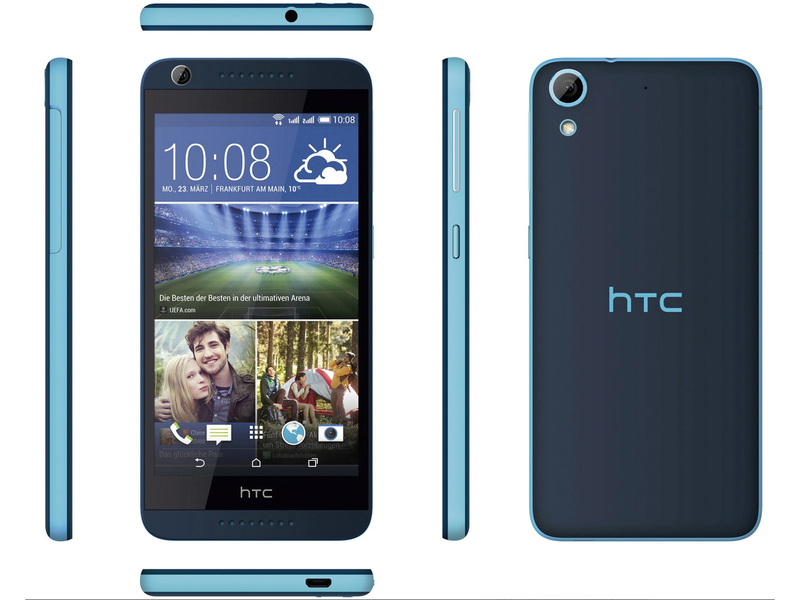 Like HTC’s Desire 610, the Desire 816 sits awkwardly between other smartphones in terms of price, with rivals including the OnePlus One, Nokia Lumia 1320 and Nexus 5 among others. If you’re won over by the big screen, you won’t be disappointed if you can pick one up for around £200. 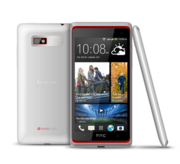 The HTC Desire 816 is a good mid-range phone that competes squarely against others in the market from the likes of Nokia or Lenovo. 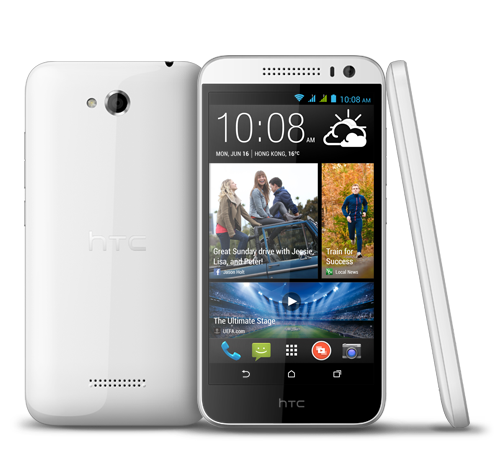 It’s certainly not as flashy as the HTC One, but that’s to be expected in order to keep it affordable. The size of the phone and placement of the power button is a concern, as you just simply can’t use this phone with one hand. 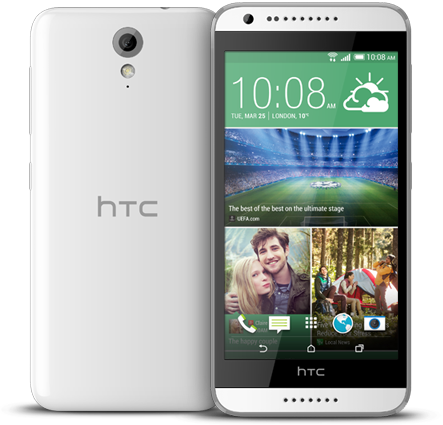 But with a decent camera, great sounding speakers, and expandable storage, the HTC Desire 816 is a strong contender for an affordable mid-range smartphone, priced at AED 1,199. The HTC Desire 816 is priced at Rs 24,200. In this segment, the 816 competes with the Nexus 5 and Lumia 925. The phone's camera and multimedia performance are quite good. The display isn't great, but you get what you pay for. 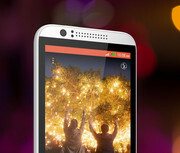 HTC is known for well built smartphones. However, the 816 doesn't live up to that reputation. What goes against this phone is its sheer size. Well, if you like huge phones, then go for it. It's undoubtedly one of the best sub-25k phablet from a reputed brand. But, if you're looking a 'phone, then the Nexus 5 and Lumia 925 are better options. If what you are looking for in a phablet is a high-quality camera and a solid multimedia experience at a low price, then the Desire 816 is certainly an option worth considering. In the time I spent with the phone I reached for my tablet so infrequently that it hasn't been charged in three weeks. You can put this down to the phone's overall usability as a browsing and multimedia device, attributes that strengthen its claims as a replacement for smartphone and tablet. 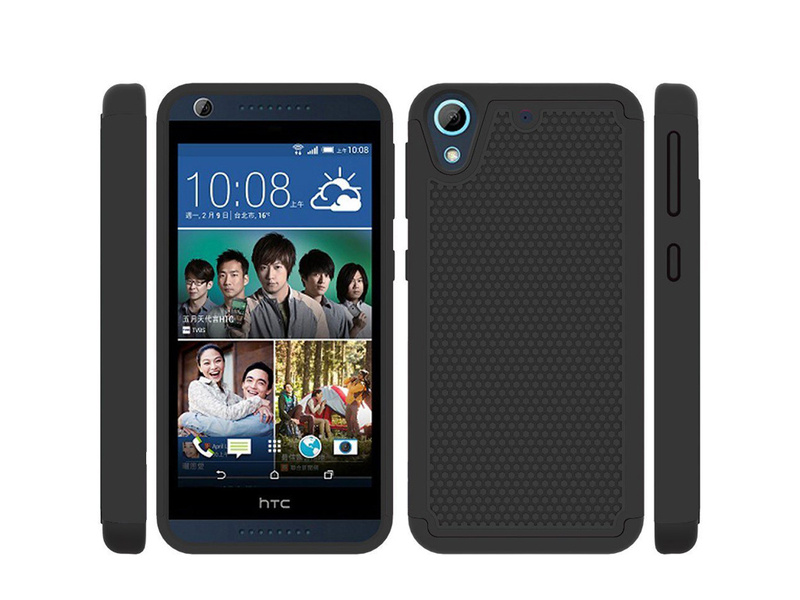 On that basis, the Desire 816 is a perfectly capable phablet at a very reasonable price. 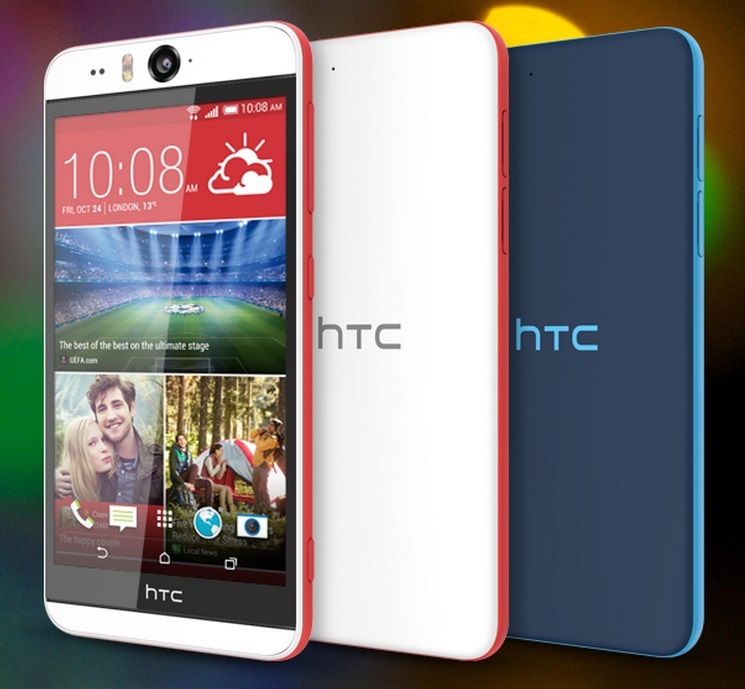 The HTC Desire 816 is one of the best budget phablets we've seen. With superior performance and battery life to the Samsung Galaxy Mega, the only Android phablet that stands in its way is Samsung's Galaxy Note 3. The Desire 816 may not have the Note 3's Full HD screen, but it does have price on its side. If you don't want to spend roughly £580 SIM free or upwards of £33 per month on a Note 3 contract, the Desire 816 is for you. Despite some flaws, the Desire 816 is a very capable large-screened smartphone for its decidedly mid-range price. HTC hasn’t skimped on optimization or hardware in a number of departments, resulting in a handset that’s more compelling than what the company has dished up in this market segment in the past. It may be powered by ‘only’ a Qualcomm Snapdragon 400 SoC, but the performance around the OS and in games is great, often matching it with the top-end phones. Most of the software found on the One M8 has made the transition as well, so you largely get the same basic experience as HTC’s fantastic flagship. HTC’s attempt to make a budget phablet doesn’t quite nail it, with a device that doesn’t feel bad, but offers a performance that certainly doesn’t match what you might expect out of it. At a little less than $400, the Desire 816 is a solid choice for anyone keen to have something big and not too expensive, especially with its day-strong battery and nice screen, but if you’re looking for something with more grunt, we’d either look elsewhere or drop down to a smaller size. 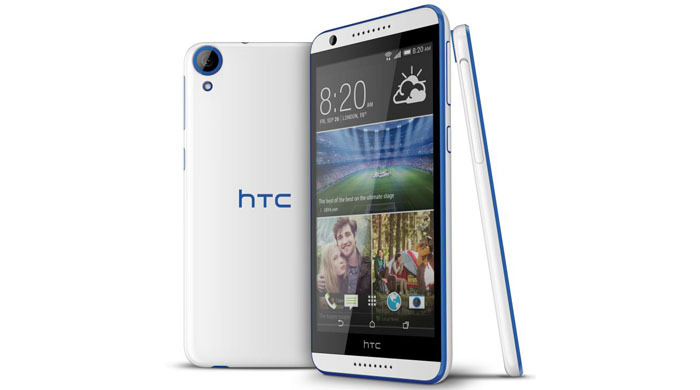 While we were quite disappointed with the Desire 700, HTC has improved vastly with the 816. With a better price point and way better hardware, the Desire 816 is a great option if you are looking for a mid-ranged phablet. Performance is great in its class, excellent multimedia and camera capabilities and the latest Android update, the Desire 816 is the best option in the mid-to-high range of smartphones. 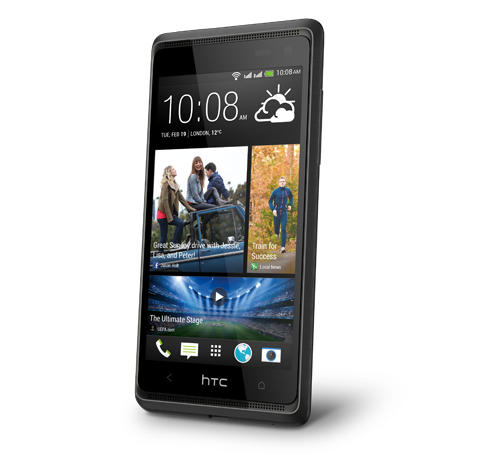 The HTC Desire 816 is definitely worth buying if you're dead set on a larger screen and you don't want to break the bank. The speakers are excellent, and in the right conditions, the camera is also a leader in this category. Performance was surprisingly smooth and stutter-free. 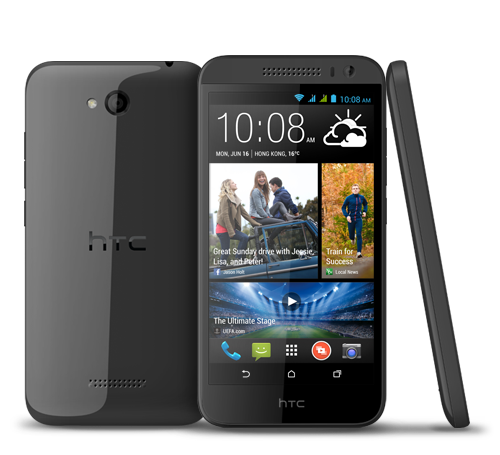 For the most part HTC has made compromises in all the right places to ensure that this is still a quality device. If you're willing to spend double the price tag then you'll certainly be able to get a much nicer phone, but it won't be twice as nice. After playing with the HTC Desire 816, we really wanted to head outdoors, headphones on, and take photos of all the scenic beauty surrounding us. The best part is that we wouldn't have to worry too much about battery life either. Priced at Rs. 23,990, it is very easy to recommend this phone. It feels premium, and has a far superior camera, battery life, higher internal memory capacity and better performance compared to the Moto G, which feels worth the price difference. If raw performance is the need, we suggest taking a look at the Gioone Elife E7 (review) instead. Any which way, it looks like HTC's efforts are not going completely unnoticed since some reports suggest that the company is forecasting a profitable quarter based on the sales of the One (M8) and the Desire 816. 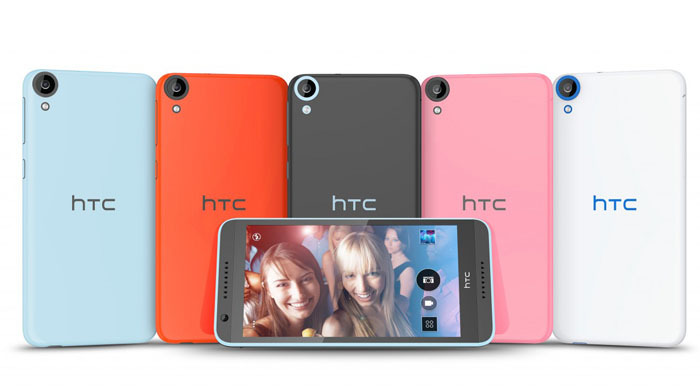 From a brand that makes some great looking smartphones, we didn’t expect the rote design of the HTC Desire 516. Yes one has to compromise on certain features when we talk about budget smartphones, but a glossy plastic body, a substandard camera and an incomplete UI makes the Desire 516 a shaky effort by HTC. Современно, стильно, недорого. Новый 4.7-дюймовый смартфон с поддержкой LTE радует быстрой начинкой, качественным звуком и разумной стоимостью. There is no doubt that HTC’s Desire 510 offers up value, with a fast 4G connection at a budget price, but at what cost? The screen on this handset is truly a shocker, and makes using the phone not so much of a joy or even a mediocre experience, but more something you’ll want to put away the first glance you get. 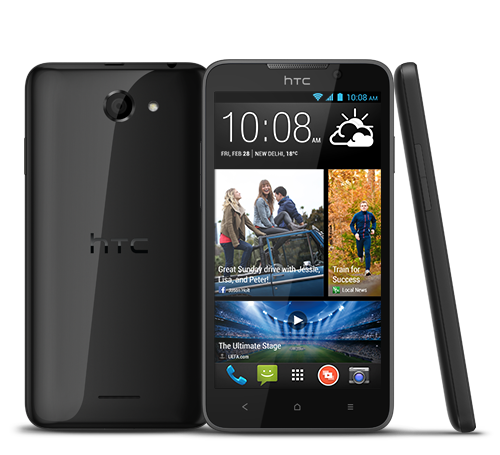 The HTC Desire 510 is the kind of phone that's likely to be in high demand for a good while. Perhaps not the device itself, which will soon start dealing with growing competition, but the very concept of an affordable phone with the fastest network data will make more and more sense as 4G networks extend to even the emerging markets. 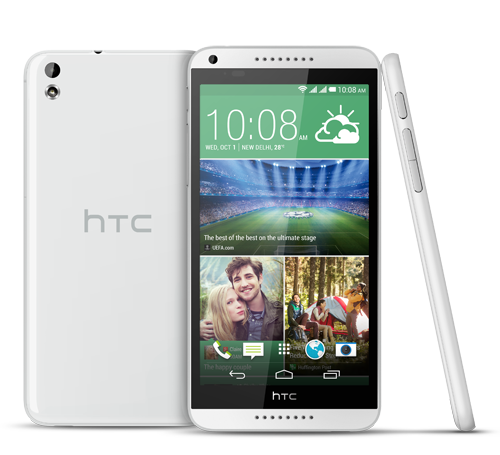 If you just want a phone for taking advantage of the new, super fast 4G network at a low price, then you'll be quite happy with the HTC Desire 510. However, if you want your smartphone to be more than just a portal to the internet, and to watch high definition media and take superb photos, then you'll want to look elsewhere – and probably consider spending a bit more money. 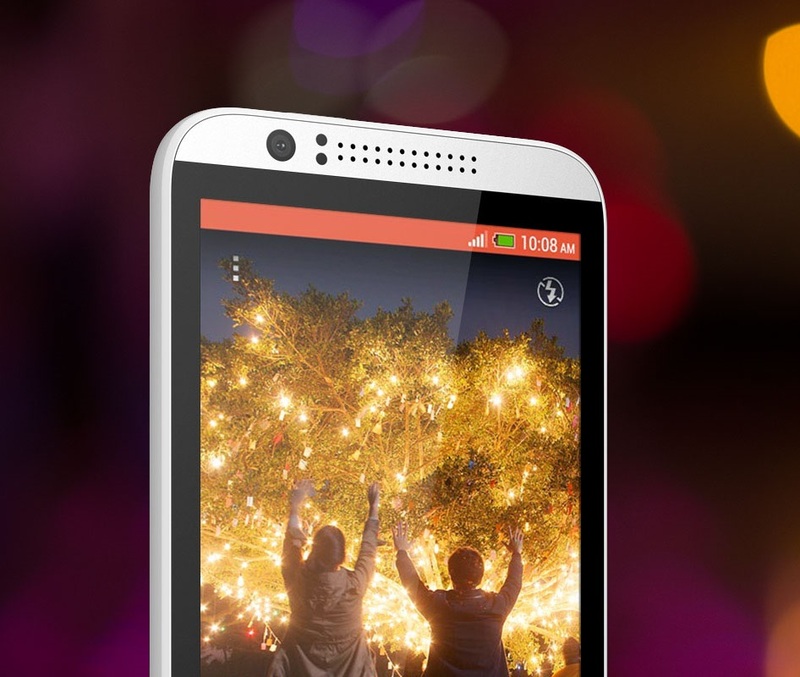 There are two things we outright don't like about the HTC Desire 510, and these happen to be its camera and display. The display is borderline unusable under direct sunlight, and the image looks washed out. A fixed-focus 5MP camera is very unimpressive in 2014, but its quality is absolutely disappointing. It's a shame about the screen and the cameras on the HTC Desire 510, because aside from that it's a strong contender in the budget smartphone market. We're looking forward to putting the Desire 510 through some speed test to see how it compares with rivals, though. The HTC Desire 510 is the latest phone to offer 4G for cheap, but with some slick LTE rivals like the EE Kestrel and the Motorola Moto G 4G to contend with, the Desire has a lot to prove. We quite like the Desire's design, although it isn't as handy for one-handed use as the Moto and the Kestrel, and the screen and camera are ultimately a little disappointing. Still, some slick performance and excellent battery life make it a handy portable pal, if you're not too bothered about watching video on the move. 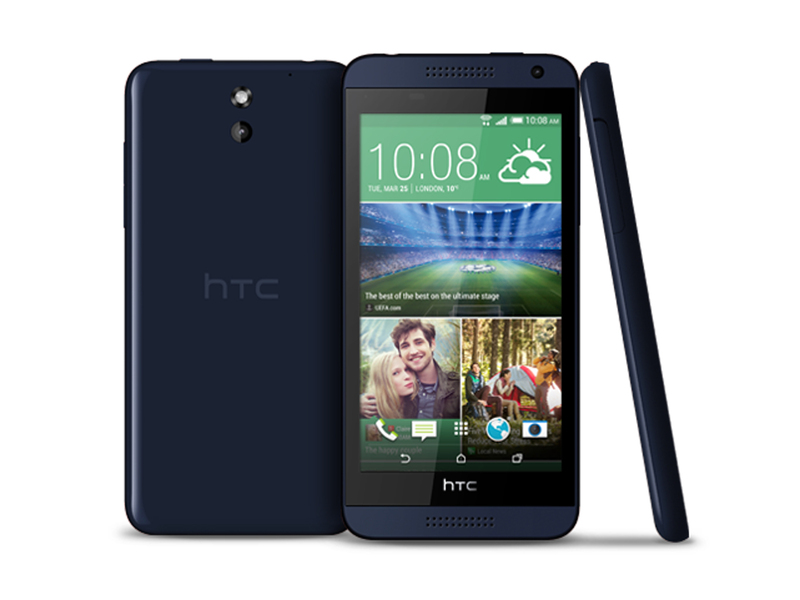 After a thorough examination, it is safe to say HTC’s Desire 820 did not quite live up to our expectations. Things did not start too well, as for a phone costing £280, we would hope for a higher quality build than the glossy plastic finish the Desire 820 features – the OPPO R5 had a classy steel build, for instance. 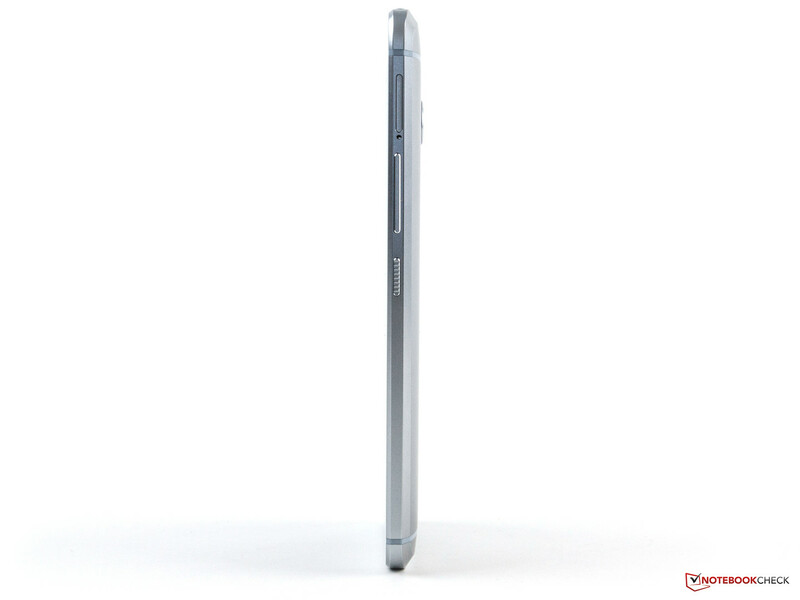 The phone, too, is over 10mm longer than other 5.5-inch devices. The HTC Desire 820's battery life may not be as good as its predecessor, but in every other respect it's easily the superior handset. With its decent screen, excellent performance and capable camera, it's one of the best budget phablets available today. It's a shame it doesn't come with HTC's new Sense 7 interface, instead making do with its predecessor, the slightly old-fashioned looking Sense 6 UI. That said there's a good chance of an update to Sense 7 (and Android 5.0) later this year. The HTC Desire 820 is decent phone with a lot of HTC’s cool software and design flourishes, but it’s hugely undercut by the second generation Moto G, especially now it supports 4G too. 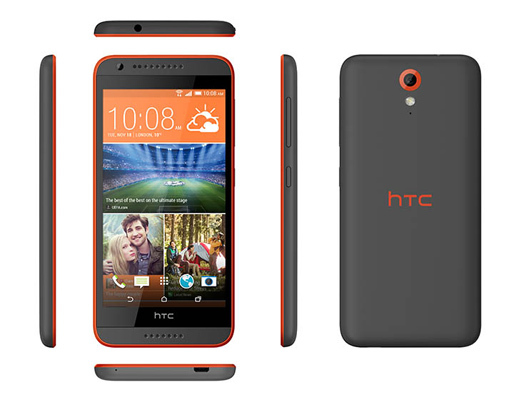 Unless that extra half inch of screen matters to you, we’d save our money - even if the Desire 820 looks this good. 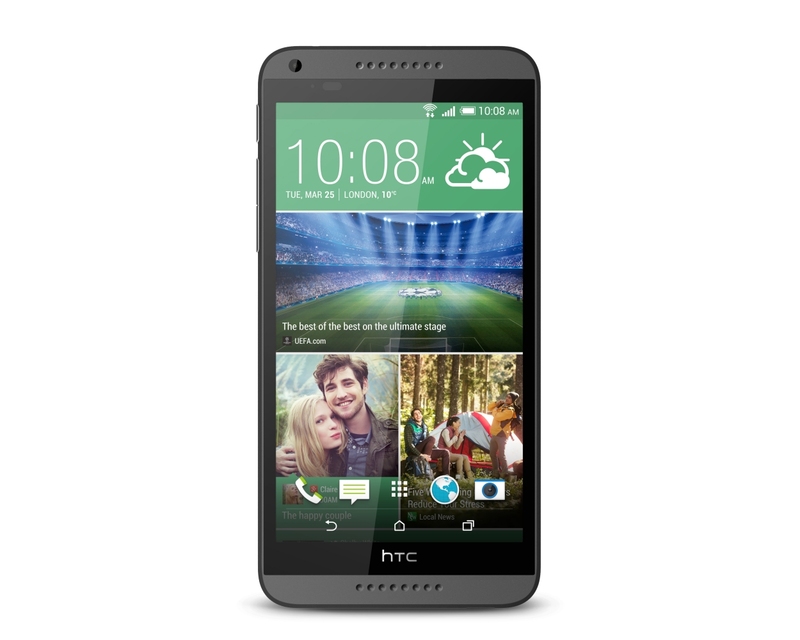 The HTC Desire 820 has plenty to offer: it's a refined day-to-day experience, with the Sense 6 interface offering plenty to set it apart from the competition. And we're sure it will be updated to Android Lollipop at some stage in the future, which will bring a number of benefits, including support for the 64-bit hardware beneath the phone's plastic skin. 64-Bit-Architektur, 5,5 Zoll Display und eine hochwertige 13-/8-Megapixel-Kameras – das HTC Desire 820 bietet einige Ausstattungsmerkmale, die man ansonsten nur die obersten Smartphone-Gilde findet. Es ist allerdings schade, dass der Power-Prozessor mitunter konterproduktiv ist und sein Potential nicht voll ausspielen kann solange nicht Android 5.0 installiert ist. In almost every way, HTC has improved upon the Desire 816, and created a phone with a more attractive design, stellar camera performance, and more power for handling all kinds of tasks. But all these perks come at a cost - the battery life. 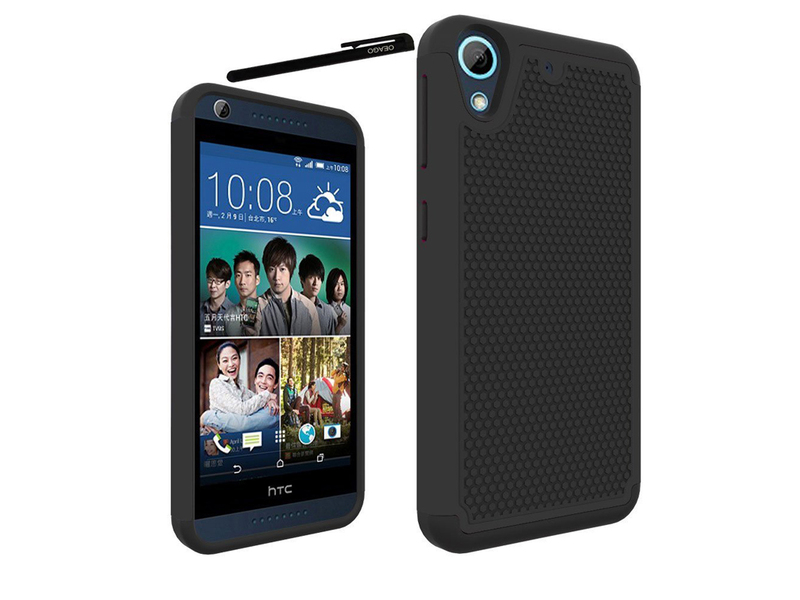 If you are planning on buying the Desire 820, we'd suggest purchasing a battery pack along with it. 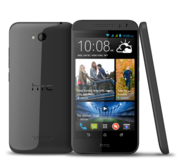 In a lot of ways the HTC Desire 820 is the natural continuation of the mid-range handset line and can be considered more or less an upgraded version of the Desire 816. It is a solid device on its own, but HTC could have tried a little harder and addressed some of the issues in its predecessor better. 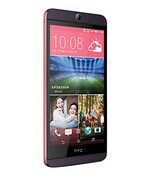 HTC has built-up a formidable reputation for offering some of the best-built devices on the market. The Desire 820 definitely looks put together well enough, but the choice of materials is a letdown, perhaps even more than with the Desire 816, and that's plain disappointing. 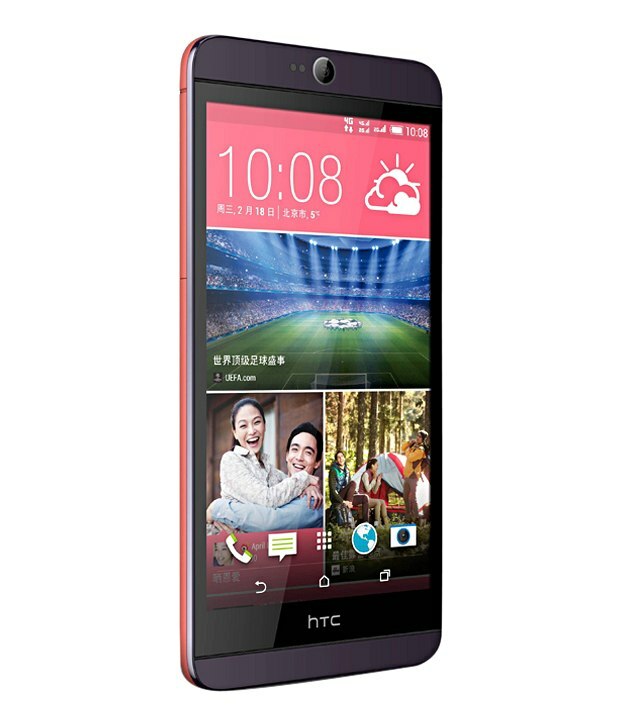 It is clear that HTC has targeted the Asian market with the HTC Desire 820, an area where big screen handsets have taken off to an extent currently unseen here in the west. In order to keep costs down, this has meant that the screen has taken a resolution cut, maintaining HD status but at the most basic level. This put a downer on my whole experience with the Desire 820, especially having moved from the HTC One, a phone with a higher resolution and smaller screen. My initial concerns that the screen would be too big were soon wiped away; it doesn't take long to become accustomed to a handset of this size. Our feelings about the HTC Desire 820 are favorable for the most part, which isn’t too shocking taking into account how the Desire 816 turned out. 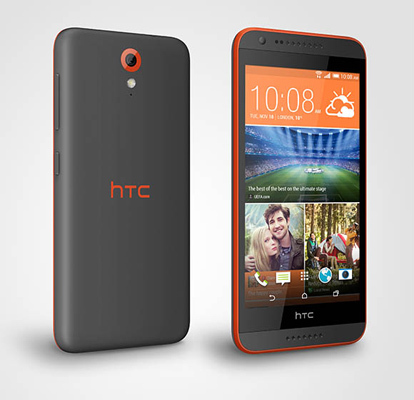 At the end of the day, the Desire 820 stands prominently amongst the mid-range market for its balanced qualities. Obviously, the piece of silicon that’s under the hood is arguably its most outstanding attribute, but there’s so much else to like about the handset. For one, its fun and lively design is a tantalizing change of scenery from the otherwise boring, plastic constructed slates we’re constantly bombarded with.If you’re to look online, you can snag the HTC Desire 820 from a variety of online sources for about $475 (without contract). 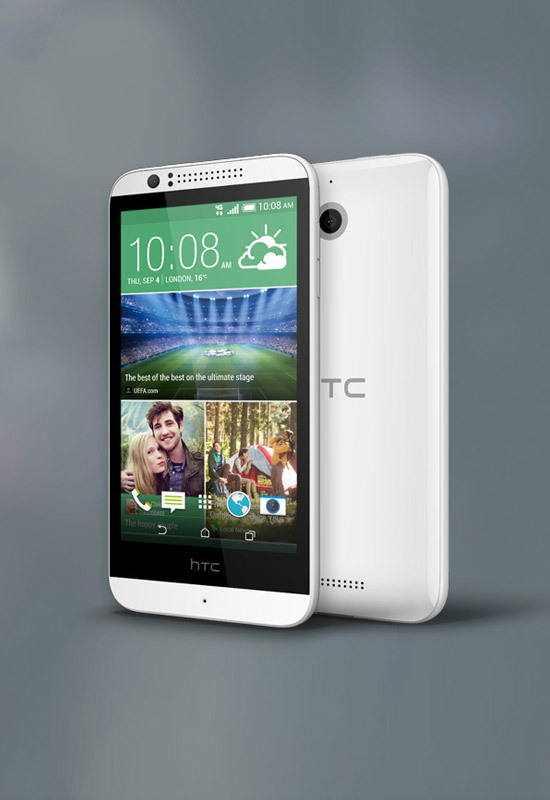 The HTC Desire 820 is an incremental upgrade to the Desire 816. It will be quite impressive for a mid-range phone if priced between Rs. 25,000 and 30,000. The company has announced that it will go on sale in early November, and the price will only be known then. We will wait for the price to be confirmed before making any comments about value for money. The Desire 820 is an attractive, well made (albeit slippery) handset, cherry-picking useful features from the One (M8) including its front-facing speakers, Sense 6.0 software, and Dot View case. We're waiting for an official UK price but we can predict the Desire 820 will cost around £300 and that's pretty good for a nice looking albeit plastic smartphone with a 13Mp rear camera and a 64-bit Octa-core processor ready for Android L. Look out for a full review soon. 78% Groß, billig und gut? Глаз-алмаз. Единственное, чего не хватало владельцам HTC One M8, так это качественной камеры высокого разрешения. Смартфон Desire Eye исправляет данный недостаток: он оснащён двумя 13-мегапиксельными фотосенсорами и может сохранить в своей памяти любой момент, какой только пожелает пользователь. HTC had priced the phone at Rs. 18,990 at its launch (which wasn't too long ago), but it is already available at a discounted price of around Rs. 17,000. We think even this asking price is a little on the high side. 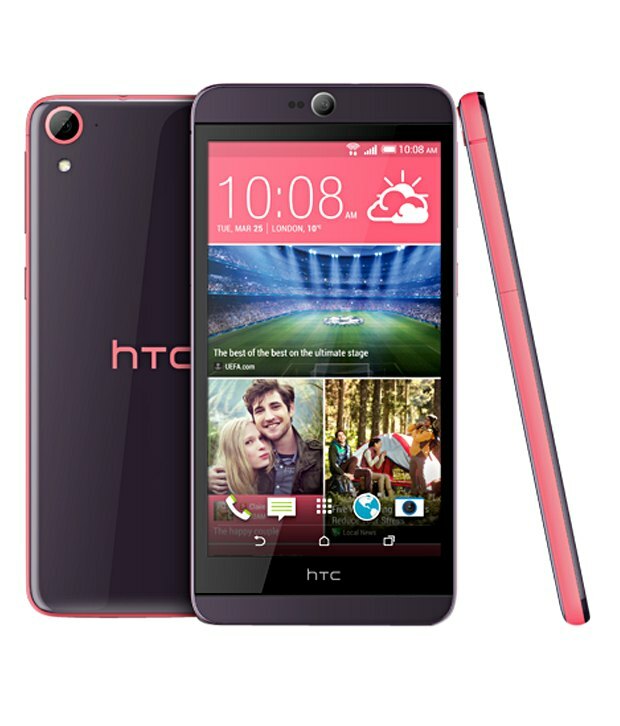 This device takes the really good formula of the HTC Desire 816 - big screen, decent specifications and a great camera - and reduces it to something we really cannot be as enthusiastic about. 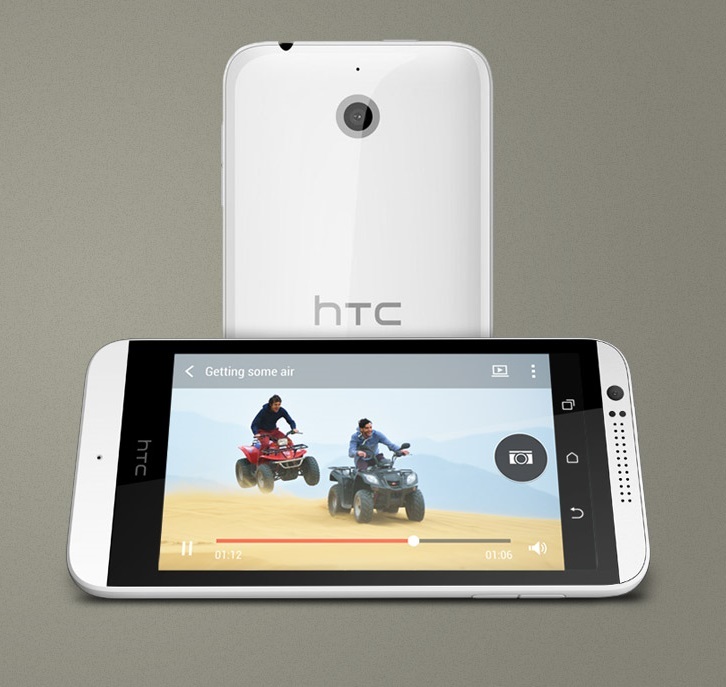 Why would anyone want to buy the Desire 816G? We really don't have an answer. The HTC Desire 620 may be much better made than last year's model, but sadly it's a clear step down in almost every other category. It has a decent camera, but there are plenty of cheaper phones which are much better value, such as Motorola's 2nd Gen Moto G and even the newly announced 2nd Gen Moto E.
For around £170, the HTC Desire 620 offers decent enough value. The design may look and feel cheap but everyday battery life is excellent and the HD screen keeps things sharp, while we’re still fans of HTC Sense. Thanks to Three.co.uk for providing the review handset. 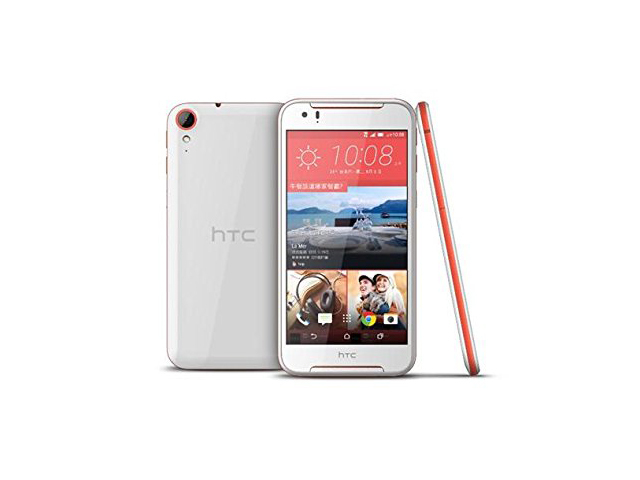 Check out Three for hot deals on the Desire 620 and other HTC handsets. 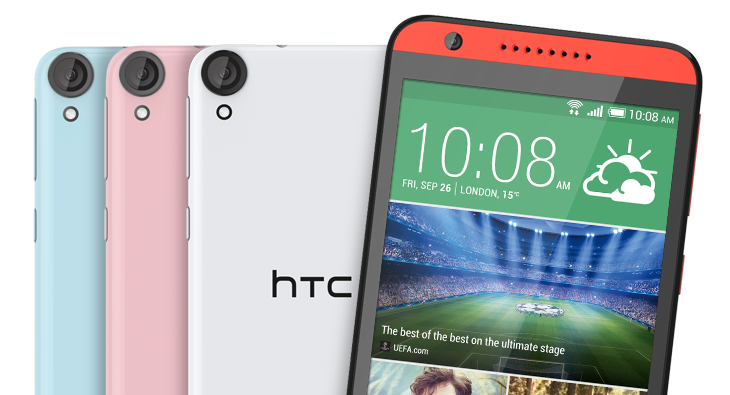 The HTC Desire 620 is a good mid-range smartphone that is well-priced if you find it for £170. That's around £20 more than the Moto G, but you'll get front-facing speakers, a better front-facing camera, a slightly speedier processor and 4G LTE for that extra cash. The graphics performance is disappointing, though, and we'd have liked to see HTC slim down the bezels and overall design of the smartphone, but we'd suggest that if you're looking for a smartphone in the mid-range category, the Desire 620 is well-worth considering. The HTC Desire 620 has built on the work of its predecessor and become exactly what the Desire 610 wanted to be - and probably should have been. HTC has created a substantial mid-ranger with some good specs and power behind it but the competition in his market is looking tougher and tougher each iteration. 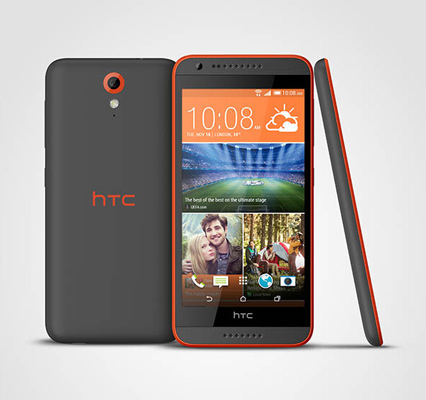 The HTC Desire 820s is not a performance beast nor the lazy non-performer, it settles itself for somewhere in between. It is a good combination of features which make it a considerable choice over a few but still lacks the overalls to be unequivocally recommended without an ‘if’ clause. The HTC Desire 820s may not necessarily be the best smartphone in this price bracket, but it's still an impressive device that looks good, feels nice and performs great. We would recommend it to anyone looking for a mid-range smartphone, especially those who don't want to deal with the headaches of flash sales and invite-only purchase systems. It's a solid device that you can buy without any worries right now, and one that will serve you well. 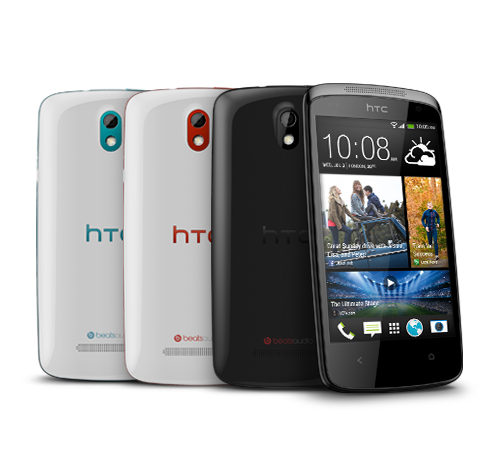 HTC's Desire range of phones have never been market leaders. 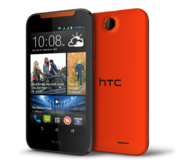 They have always been an option in each category they compete in and that is not going to change with the HTC Desire 826. It has good specs on paper but scores just below our expectations in every aspect except the display. Double pack. The dual-colored HTC Desire 626G Dual SIM has two SIM slots and a high performance octa-core SoC from Mediatek that clocks at 1.7 GHz. The street price of approximately 230 Euros (~$250) also includes a bright 5-inch HD screen, UMTS, and a high-resolution camera module. 8 GB of internal storage and 1 GB of RAM rounds off the bundle. 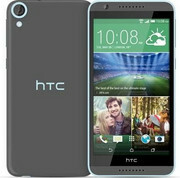 HTC Desire for a price of Rs. 14,990 is really not worth purchasing. The smartphone performance is average but the biggest flaw is that it runs dated Android 4.4 Kitkat OS, when everyone else in competition is either offering Android 5.1 Lollipop or 6.0 Marshmallow out-of-the-box. Furthermore, the 2000mAh battery disappoints the most and it will not even last 3 hours for a power user or a gamer. So if you are looking for smartphone under Rs. 15,000 and under Rs. 10,000 then check on the links respectively. The HTC Desire 626 isn’t the worst mid-range device we’ve reviewed, but it equally isn’t the best either. In fact, the majority of sub-£250 devices eclipse it, including the Moto G, which is probably the best all-rounder at this price level. The camera may not be important to business users. 50% Would you pay Rs 12,499 for Android 4.4.4? In an age when it takes only a few months for a top-end smartphone to feel old and outdated, it makes no sense at all for HTC to have launched a smartphone that is over a year old at this price. Customers today are sensible, and a plethora of options with much more current features and specifications are available at the same price or less. The HTC Desire 626 ticks a lot of boxes, matching rivals for specs and packing it all into a colourful, eye-catching shell without pushing the price up. But it's a phone that doesn't quite live up to its billing. Like the build itself, the handset doesn't quite deliver in the way I'd hoped, particularly when it comes to the camera and battery life. Pleasant and thin design, comfortable use with one hand, IPS screen with HD resolution and a 13MP rear camera with various shooting modes and settings, capable of shooting Full HD and slow motion videos. If you think that this hardware doesn’t quite cut it for a mid-range device, you shouldn’t worry, because the available software makes up for it. 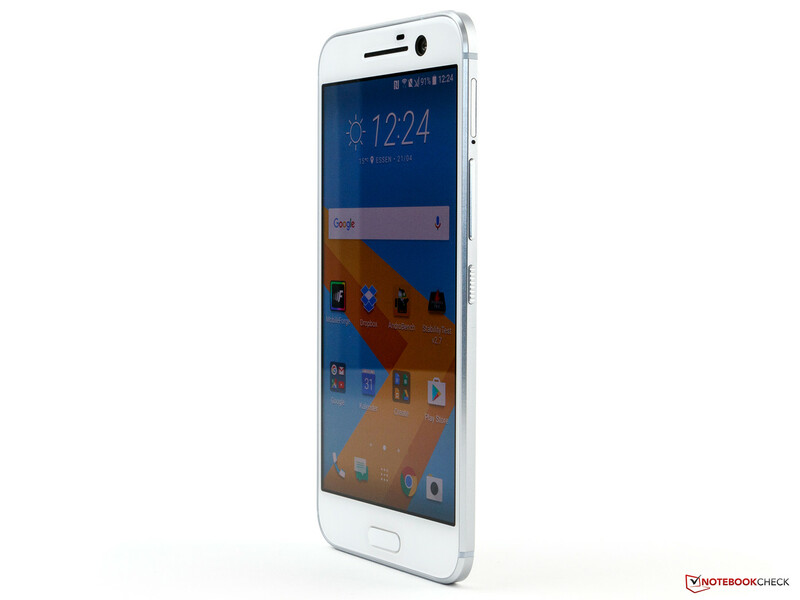 The phone operates on Android 5.1 Lollipop with HTC Sense 7.0 that brings a lot of useful apps and features along with it. To sum things up, we could say that if you’re an HTC fan and you’re looking for a mid-range device, then Desire 626 should be on the top of your list. 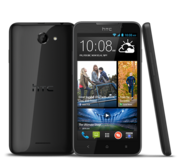 Taken together with its lacklustre performance, the Desire 626 just doesn't do quite enough to rise above the rest of its mid-range competition. At £250 SIM-free, the £225 Sony Xperia M4 Aqua beats it hands down on almost every front, and even paying £170 on O2's Pay and Go service seems like poor value when the £125 Vodafone Smart Ultra 6 offers so much more for your money. This is a real shame, as I'm a big fan of HTC's new Sense 7 interface and it's great to see it appearing on handsets further down HTC's Desire range. It just needs a better handset to do it justice. At first, the $185 HTC Desire 626 seems like a great deal. It has a big, bright LCD display; a crisp 8-MP rear camera; expandable storage; and a customizable design that lets you stand out. But the dismal battery life means you should probably look elsewhere. Overall, the $179 Moto G is a better investment, as it offers faster overall performance, longer battery life, stock Android and a friendly design that's fully customizable with Moto Maker. At this end of the market there’s a lot of competition. 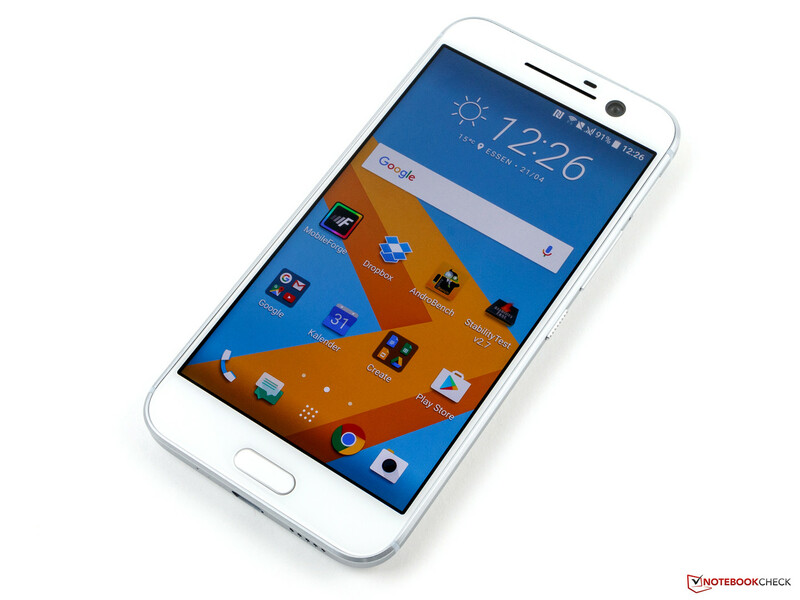 The Honor handsets, the Moto G, the endless Chinese devices from companies like ZTE and Meizu. This, the Desire 626, is sadly let down by a camera which just isn’t acceptable, especially if you dare to zoom. There’s a number of highlights though, including the on-board help function is particularly good. It quickly guides you through any potential problems with a helpful interface. I also liked the Car Mode, which gave the handset a big-button interface. There’s a Backup system, the clever HTC Dot View system so you can use the handset with the relevant case, a flashlight, a weather system and a “scribble” app which lets you note down any quick thoughts. Right now, the 2015 edition of the Moto G is the benchmark that many folks will use to compare phones that are within the same scope. 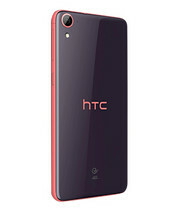 Indeed, the HTC Desire 626’s outright price point of $185 makes it an attractive offering, especially if you find its tailored design to be better, but it’s still a somewhat underperforming package that doesn’t threaten the Moto G in terms of functionality. Well, that’s pretty concerning because you’re going to fork over just a smidgen more for it – plus, it lacks the better specs of the Moto G. We won’t deny that HTC has something tangible here for consumers who don’t want to spend a fortune on their next phone and are looking for a good-looking handset, but we just expect better results everywhere to keep it in the same pedestal as some of the other prized options out there. Typically, when we review a phone out here in the Pocketnow Utah offices, we carry our daily driver alongside the review device. This time, the review device was good enough, though not particularly fast, to accomplish all our daily activities. If you’re looking for a cheap phone that will do what you need it to – but not much else – the Desire 626 is worthy of your consideration. The HTC Desire 626 is a decent budget phone with a brilliant camera that should suit everyone, but it feels rather generic, and its battery life isn't ideal. When faced with stiff competition from the brand new Moto G, it just doesn't do enough to stand out from the pack. 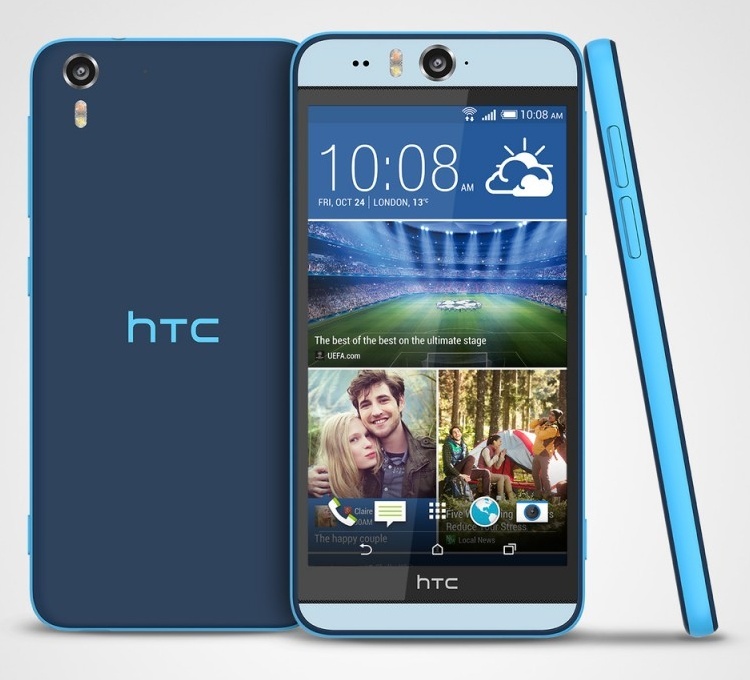 So there you have it for this look at the HTC Desire 626! Although this entry-level smartphone gets a few key aspects right, including its beautiful design and solid build quality, good camera, and excellent software experience, there are some glaring flaws that are hard to overlook. For starters, the performance isn’t entirely up to the mark, even for a low-cost smartphone, and the battery life is quite disappointing, which may be a turn off for some. While this would have been a fantastic entry-level smartphone only a year ago, a slew of great sub-$200 devices that have made, and will be making, their way to the market results in the Desire 626 being a tough sell. 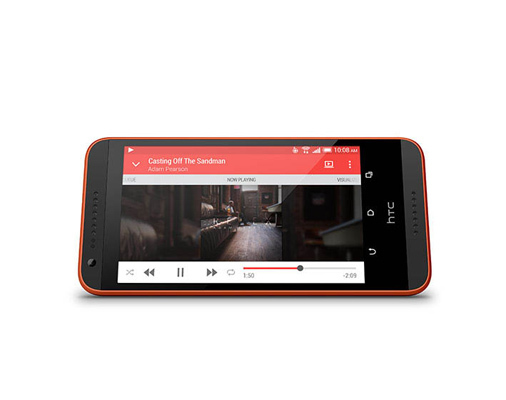 The Desire 828 has a good display and the front facing speakers add to the multimedia experience. But when you consider the competition at the sub 20K price point, you may want to access your requirement before choosing the right smartphone. This price point is flooded with smartphones offering a unique experience based on your requirement. 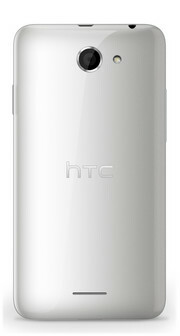 Предлагая потенциальным покупателям модель HTC Desire 530, производитель делает упор на уникальный дизайн, качественные камеры и неожиданно высокое качество звука. В ходе нашего обзора мы хотим выяснить, способен ли новичок, построенный на компонентах начального уровня, достойно соответствовать щедрым обещаниям производителя. 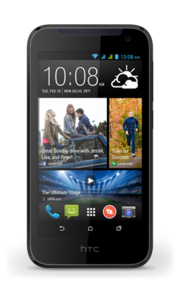 The HTC Desire 530 is an affordable and relatively compact entry-level phone on MetroPCS, but its slow performance and dim display makes the Galaxy On5 a stronger option for most users. For $19 less, the On5 gives you a brighter screen, smoother overall performance, and better battery life, though at the cost of reduced internal storage and a weaker camera. 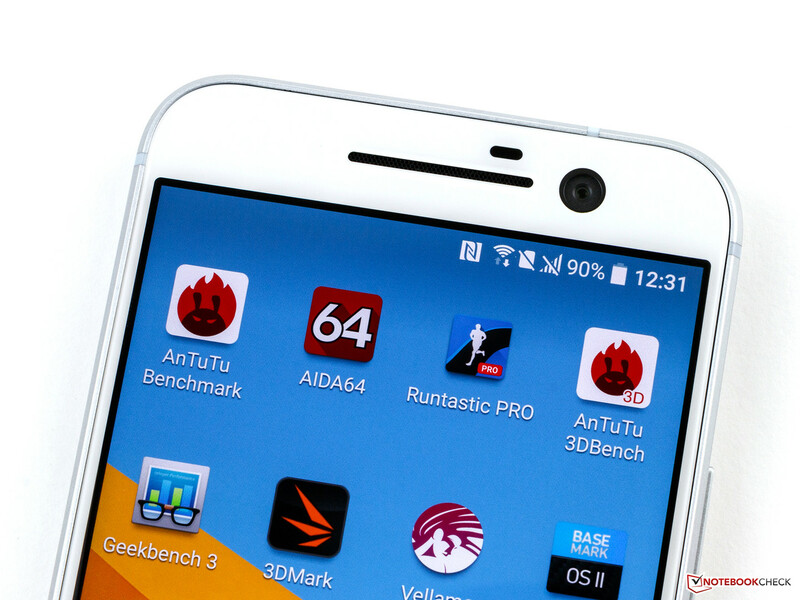 However, if you're willing to go up in size, the ZTE Zmax Pro is our Editors' Choice winner among phablets with a snappy processor, a crisp 1080p display, and sharp dual lens camera sensors. At $179 it's the best combination of price and performance for most MetroPCS customers. If you only meet one of the above conditions, there is a better alternative for you. 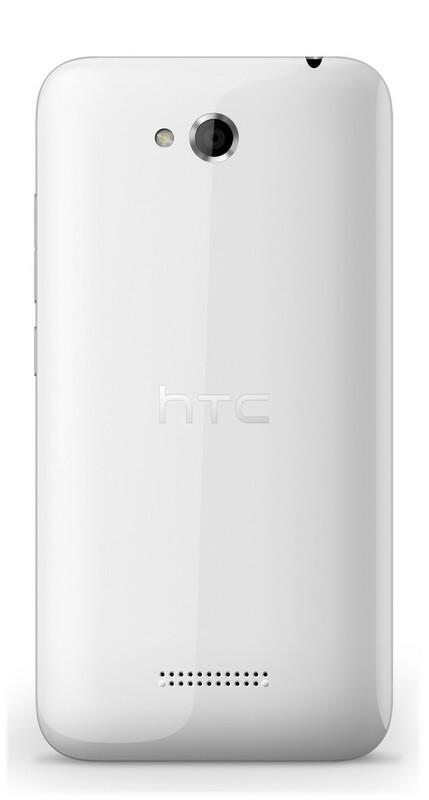 If you want Sense and money is no object, go for the HTC 10. It's a phenomenal phone. If you don't care about HTC's in-house Android skin but you only have $200 to spend, take a look at Lenovo's Moto G4, or even the Moto G3. Outside of that, the Moto G4 and G4 Plus are worth the extra cost. The Desire 530 just doesn’t deliver on performance, whether it’s something as basic as waiting for an email to load or more taxing tasks such as quickly switching between multiple apps. You’re going to find yourself waiting for apps to load, pages to fill in, and eventually it’s going to get annoying. It’s a good looking phone, carrying over the same basic design found in previous Desire devices. Only now, the 530 features a white shell that appears to have been “splashed” with specs of orange and grey paint. 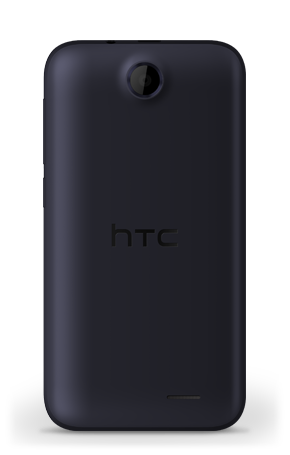 I’m usually pleased with HTC devices for the most part but the Desire 530 is a disappointing affair. Its display is pretty weak outdoors, its processing power is abysmal and it just seems to take long to upload anything. Its true saving grace is its colorful splash coating and its price point as you can get one from T-Mobile for about $160 retail. HTC's Desire 530 is not without its charms, even beyond the phone's low price tag. Both cameras deliver better photos than you might think, you get a full day's worth of power, and the Boomsound feature delivers pretty good sound through headphones. The problem is, other budget phones offer much more, whether it's a beefier processor from the Moto G4, greater durability from Alcatel's Go Play or more value from the identically priced Zmax 2. Some will look at the Desire 530's price tag and see a decent value for a good-enough smartphone. Me, I just see spots. I can sum up very easily by saying you should not buy the HTC Desire 530. HTC produces some great high-end phones, and even some decent mid-rangers, but this handset does not come close to competing with the current budget crowd. For the same money you can get the Wileyfox Swift, which is better than the HTC Desire 530 in most respects. And if you can raise an extra £40 go for the vastly superior Moto G4, which beats the Desire 530 by miles in every respect. If money is really tight, save yourself £29 and pick up the Moto E, which also outperforms the Desire 530. Funky design, lightweight and well put together this. It grabs and holds the phone signal well and the screen – although perhaps not up to higher-spec competitors – is better than most low-end devices. The lack of an LED notification light and the one-speaker sound output was a bit of a let down. With devices at this end of the spectrum (and we still, at this point, don’t know the exact price or release date), cuts have to be made somewhere, however the CPU gets faster, the RAM increases and the screen gets bigger if you look at the Desire 630 or 825, which are part of the same line-up. But in today’s world, where consumers are surrounded by great affordable handsets like the Moto G, EE Harrier and BQ Aquaris X5, its low-end specs don’t cut the mustard. The Snapdragon chipset used doesn’t offer adequate performance and comes close to completely ruining the overall user experience. Because of this, I can’t recommend the device, no matter how competitively priced HTC makes it. 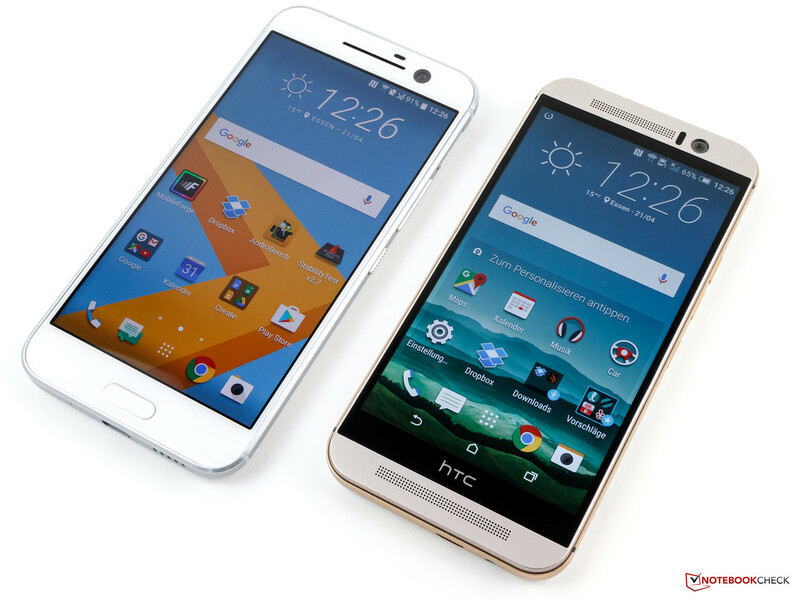 From a distance the HTC Desire 530 looks like a cheaper alternative to the Moto G. 5in screen? Check. 720p? Check. Quad-core CPU? Yep. However, it is underpowered. Whether it’s down to the Sense UI or the Snapdragon 210 just not having enough power to do Android 6.0.1 Marshmallow justice, the Desire 530 ends up being a trial to use at times. Aside from the interesting design, there's nothing particularly outstanding going on with this entry-level smartphone. We’re actually pretty disappointed with the spec, as the Qualcomm Snapdragon processor and GPU used are featured in smartphones 2-3 years old, which is bad even for a budget smartphone. The cameras are okay for a budget smartphone, but the colour reproduction isn’t the greatest we’ve seen, even on a cheap handset. We'd say it's a good choice for teenagers looking for a starter smartphone, but if you're in the market for a smartphone that's low-cost, good-looking but doesn't have any bells and whistles, then there are better options available. The HTC Desire 530 is a disappointment. It looks the part, and the screen is pretty decent for a £120 handset, but things fall apart as soon as you use the thing for any length of time. It’s laggy, sluggish and has a distinctly average camera. Altogether, though, the Desire 530 just isn't a good choice for those who like to do a lot on their phone. It looks fantastic and it's still just about serviceable for short bursts of YouTube, checking the weather and actually being used as a phone rather than a gateway to the internet, but there are much faster, less frustrating handsets available for the same amount of money. Its large screen is admittedly more practical than the 2nd Gen Moto E, but in this case you might as well spend a little bit more and get the 3rd Gen Moto G, as this not only has the same sized screen as the Desire 530, but it also comes with a far better camera. That’s it for this quick hands on look! 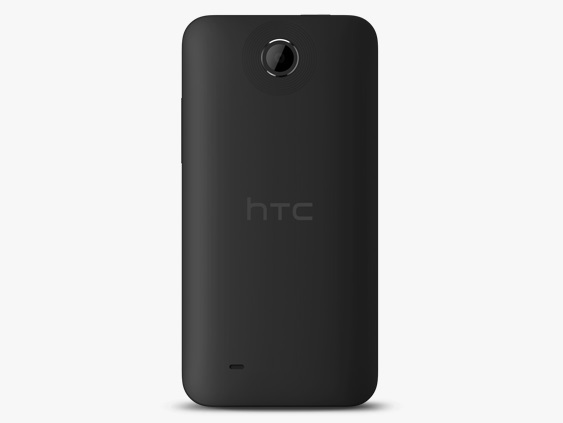 The Desire 530 is expected to arrive this March, though exact pricing or even launch markets have yet to be announced. Given the specs, we imagine this should be highly affordable and competitively priced with other devices in the budget-friendly space, though we’ll be sure to update you when we know more. The HTC Desire 530 is a phone that NEEDS to be cheap to be any kind of success and help solidify the bottom line for the brand. It's a basic phone with basic features for, hopefully a basic price, and while I can't say I'm a fan of the paint splashes on the back, it's an iconic look, that's for sure. Even at $199, it’s hard to be totally thrilled by the offering that is the Desire 520, a phone that feels like the poor cousin to last year’s Desire 510, and we mean poor in every sense of the word. Not much has changed from that device, and while we now have a camera flash alongside better cameras, the processor and its performance feel like they have both gone equally backwards, providing a noticeably slow experience that adults and kids alike would probably get frustrated by. At Rs 14,990 this is not the best smartphone on offer in the market where Chinese manufacturers such as LeEco and Xiaomi are offering cheaper phones with higher specifications. The HTC Desire 630 offers the best in terms of design in the Desire series, but falls short of matching user expectations in a price sensitive market like India. Using the device is a breeze with its 4GB RAM and Mediatek MT6755 Helio P10 processor. The amount of RAM the phone has will be helpful for multitasking, but it is geared more to moderate users. Playing games with this phone should not be a problem, but expect a drop in frame rates for graphic intensive games. Storage issues? No worries, as this smartphone is packed with 64GB of internal storage, and you can expand that with a microSD card for up to 256GB. 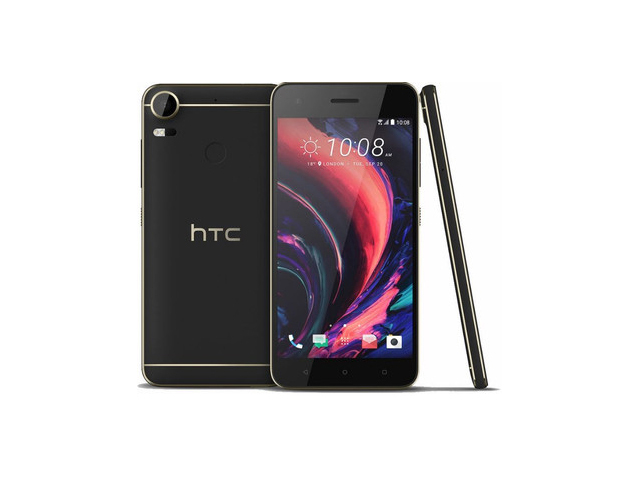 For all those loyal HTC users who have been thinking to replacing their ageing HTC Desire smartphones, the time is certainly right to upgrade as the new Desire 10 Pro comes with a slew of updated features and enhancements. The images produced by the 20MP camera are impressive for a mid-range smartphone, and the design of the device is clean and simple. We hope that HTC rolls out Android 7.0 update soon. The HTC Desire 10 Pro is a decent smartphone. 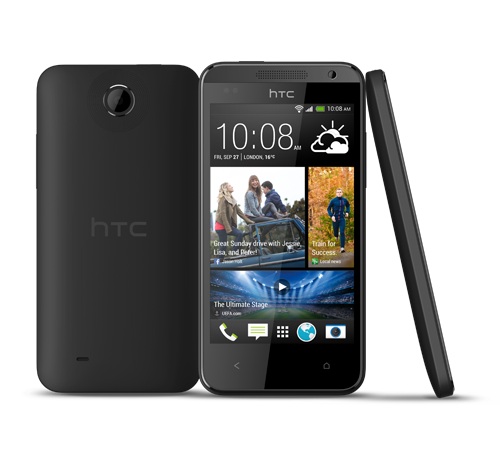 In fact, it’s one of the better smartphones that HTC has produced recently. But consider it only if the OnePlus 3, Asus Zenfone 3 or the Moto Z Play aren’t within your reach. You cannot clearly expect a slayer performance from the HTC Desire 10 Pro. It doesn’t, however, displease at any point. The camera is good enough for your social media usage, and the manual mode makes you feel that you have a little more control. However, If clicking great landscape pictures is what you utilize the phone mostly for, you may want to spend some extra bucks and buy the Oneplus 3, instead, which has a better rear camera. With the Desire Pro, you will be clicking an endless number selfies, and appreciate the performance in all lighting conditions. Fast Charging and a long lasting battery are great supplements. The device has a sleek design and the golden accent lines on the Polar White model add a sense of panache. What it doesn’t offer, unfortunately, is the performance chops. Don’t be surprised if you notice dropped frames during heavy games like Asphalt and Modern Combat 5. As a daily driver for work and some mild entertainment, the HTC Desire 10 Pro doesn’t fall short in light of its competitors when it comes to watching movies or browsing the web. 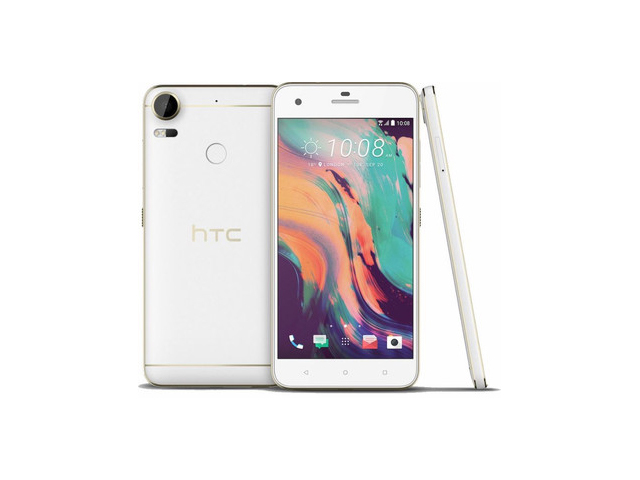 Launching with Android Marshmallow with HTC Sense, the HTC Desire 10 Pro offers the same sort of software features as you'll find on the HTC 10, with freestyle themes and a range of launch gestures. That means a fairly uncluttered version of Android, free from a lot of the bloat that you'll find on mid-range devices from other quarters. Although we've not tested the handset to a great degree, we'd expect the day-to-day performance to be good. Importantly, the Desire 10 Pro is a handset that looks different and distinctive and we like that. We're still awaiting pricing, which will be crucial, and the availability, which HTC is saying will be determined later in November. 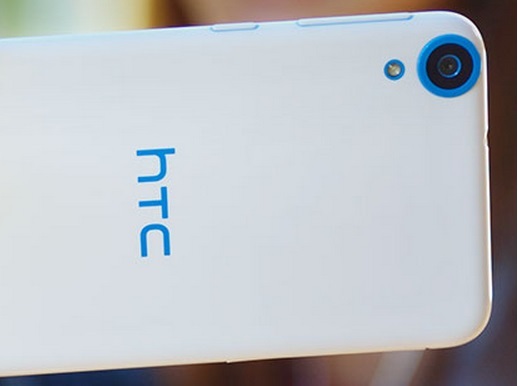 HTC looks to have a promising handset on its hands. There's loads of great tech packed into the surprisingly premium polycarbonate body, and as long as the price is kept reasonable it's a phone worth getting excited about. HTC Desire 830 is fully equipped with the all best possible features because it is LTE enabled smartphone with the fast octa-core processor. 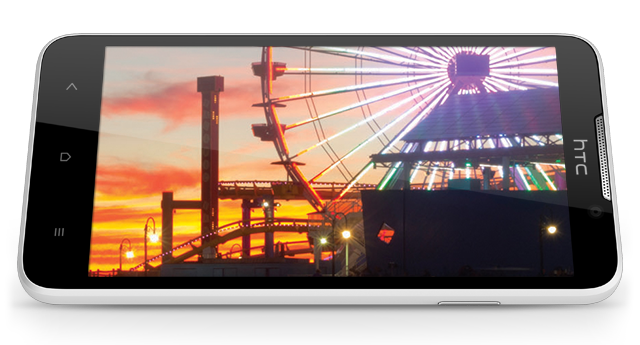 Moreover it can record 1080p videos from front camera. Overall the device can fulfill user need in every aspect either it is camera section, game section or any other. Only one thing which it lacks is bigger battery otherwise it has performed really well in every section. 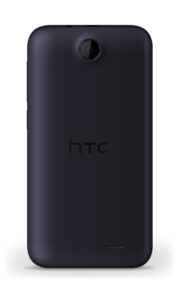 At a first glance the HTC Desire 10 Lifestyle looks like a premium device. But under those good looks lies a simple phone with medium range specs and a decent camera that's priced appropriately under AED 1000. Performance leaves a lot to be desired, though, as does the camera. If you can stretch to it, the £330 OnePlus 3 is easily the better buy. If your headphones never leave your head, though? This could still just about be one to consider. Основным конкурентом HTC Desire 650 является Xiaomi Redmi 4. Эти смартфоны очень похожи, но у Xiaomi Redmi 4 более мощный процессор Snapdragon 430, да и емкость батареи у него намного больше - 4100 мАч. ARM Mali-450 MP4: Qualcomm Adreno 306: Adreno 306 - мобильный графический чип, установленный в процессор Snapdragon 410.ARM Mali-T760 MP2: ARM Mali-T720 MP4: Qualcomm Adreno 304: Эти графические чипы позволяют играть только в старые и не очень требовательные игры. Графические ядра с разделяемой памятью позволяют достичь более длительного времени работы от батареи и меньшего уровня нагрева. Офисные задачи, интернет, обработка (небольших) изображений и просмотр (не HD) видео для них не составляет особого труда. ARM Mali-T860 MP2: Qualcomm Adreno 506: Встроенная графика в ARM чипсетах, можно найти в составе Snapdragon 625 и Snapdragon 450. Поддерживает Vulkan, OpenGL ES 3.1 + AE (3.2) и UBWC.Qualcomm Adreno 505: Они позволяют запускать некоторые нетребовательные современные игры. Впрочем, производительности данных видеокарт более чем достаточно для обычных офисных задач и просмотра HD-видео. Плюсом интегрированных видеокарт обычно является наибольшее достижимое время автономной работы использующих их ноутбуков. Четырехъядерный ARM-чип (Cortex A7) для планшетов и смартфонов. Четырехъядерный (Cortex-A7) ARM-чип для смартфонов и планшетов. MT6752: MT6752 - мобильный процессор для планшетов и смартфонов. 71.45%: No rating comment found (one expected)!Общие рекомендации по выбору электроники: Гид покупателя.